Canvax is the #1 Spanish supplier of kits and reagents in the molecular biology and cell biology fields. They are well-known for their reliable, cost-effective and easy-to-use product lines (450+ different products). HorsePower™ Taq DNA Polymerase, from kr. 440. Proteinase K from kr. 313.
qMAXSen™ qPCR Mastermixes, from kr. 888. Resazurin Cell Viability Assay, from kr. 589. Stool Sample Collection and Stabilization Kit, kr. 2.230. PBS with Tween™ 20, 1 litre, kr. 1.111. AMV Reverse Transcriptase, kr. 2.007. HigherPurity™ DNA Purification SPRI Magnetic Beads, from kr. 738. 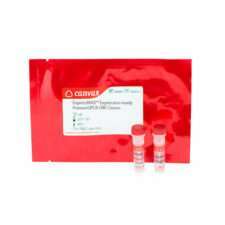 Annexin V Apoptosis Detection Kit, kr. 1.484. In many cases, we offer our Danish customers sample sizes of products. Just fill in the contact form at the bottom of the page to get in touch. For this reason, if a Canvax™ product fails to work as is described, our Expert Team will work with you to solve the issue. If this process is not successful, Canvax™ Guarantee you a free replacement or a 100% refund.